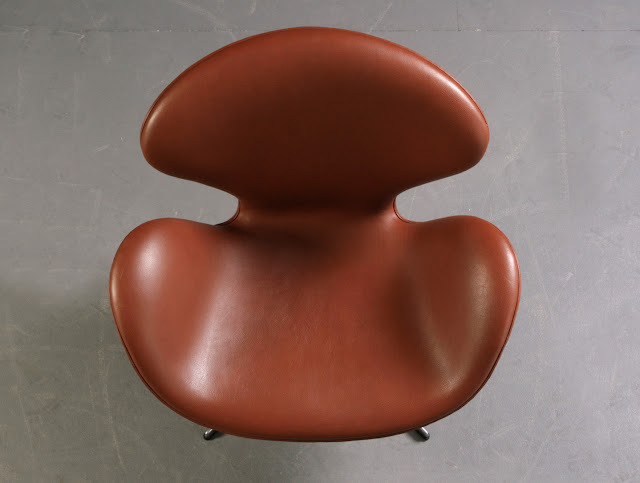 The original Swan™ Chair made by Fritz Hansen in Denmark. 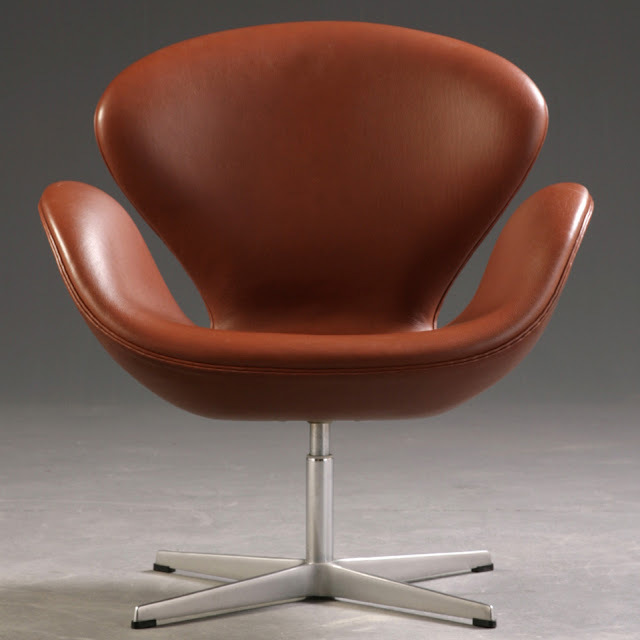 Upholstered in Basic Brown Leather. Arne Jacobsen Swan™ Chair in Basic Brown Leather. 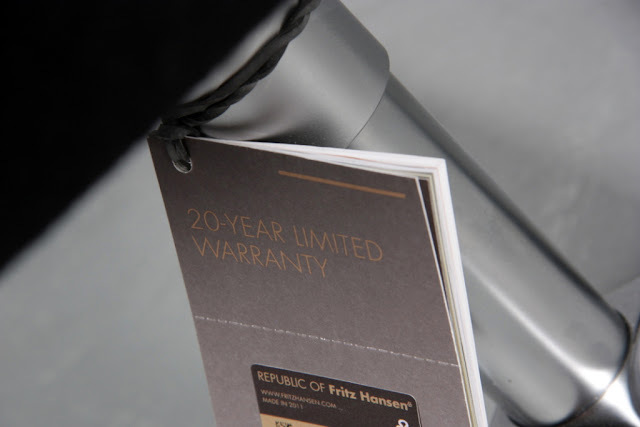 Basic Leather by Fritz Hansen is a flexible and smooth looking type of leather. It is user-friendly and economic. This type of leather is made of European hides, is pigmented and has been treated with a heavy surface finish, which makes it very durable. The surface is buffed and has a smooth look with a fine grain print. Basic is flexible, robust and easy to look after as well as being greaseproof. 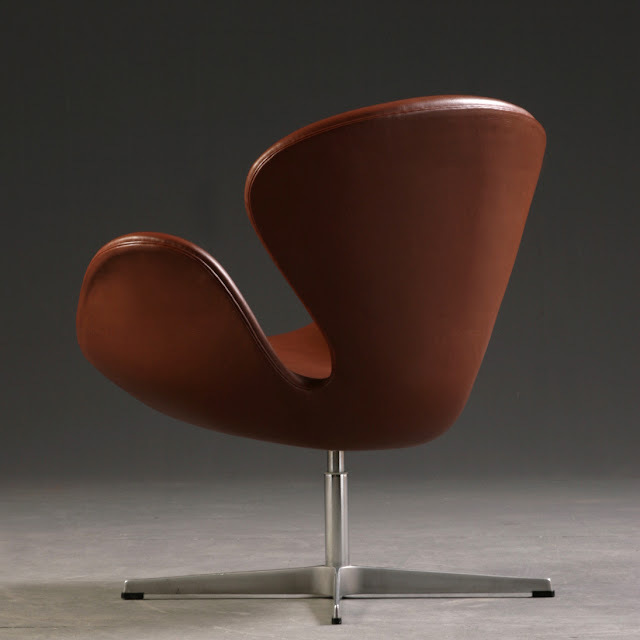 The leather is soft and pleasant to the touch and offers excellent sitting comfort. It has a high level of colorfastness as well. 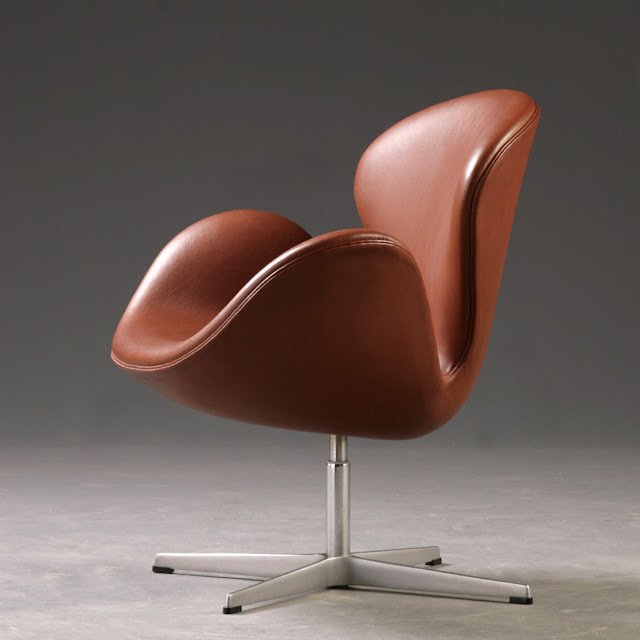 Most of our customers choose Basic Leather for their Swan Chair.